You are here: Home / Celebrity Interviews / Alex Angelo + Fifth Harmony Chat It Up With Radio Disney — Watch Now! Alex Angelo + Fifth Harmony Chat It Up With Radio Disney — Watch Now! 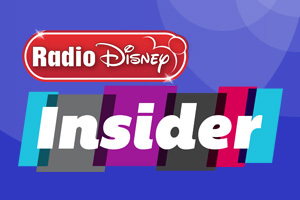 On an all-new Radio Disney Insider, we get inside scoop from Fifth Harmony and Radio Disney’s own Saturday Night Party DJ, Alex Angelo. The fearsome fivesome of Fifth Harmony get into talking about their amazing and positive song called “Boss” while Alex Angelo speaks about his time on tour with Austin Mahone from this past summer. Check out what they had to say in the video below! « Hilary Duff Spotted At LAX Airport – Pics Here!